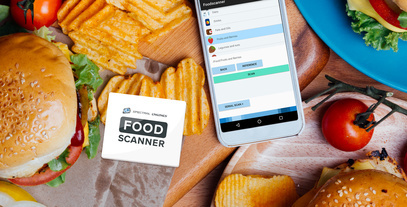 Spectral Engines’ portable Food Scanner solution has been awarded 1st prize from EU Horizon. The aim for the Horizon Prize for a food scanner was to create a mobile solution that analyses food composition quickly and efficient. The winning plug-and-play concept comes with the world’s smallest near-IR spectroscopic sensing module, advanced algorithms, cloud-connectivity and a vast material library. This makes the Food Scanner able to detect fat, protein, sugar and total energy content of food items at high accuracy. The solution is designed to provide people with food-related health problems, such as diabetes, allergies or obesity, with fast and relevant information about the food they consume. The Food Scanner is ready for OEMs to integrate to their own applications such as analysers, handheld instruments or production lines. As the winner of the Horizon Prize, Spectral Engines will receive € 800,000 from the European Commission. Congratulations!